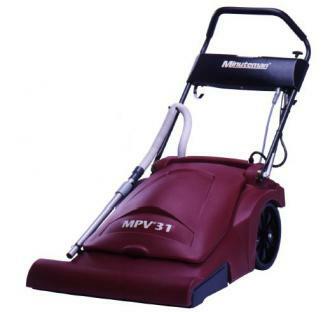 Sweeping a wide 30″ path, the MPV-31 cleans up to 25,000 sq. ft. per hour and greatly reduces labor time. Further maximizing efficiency, the MPV-31 features an attached telescopic wand and on-board accessory tools for cleaning above-the-floor and hard-to-reach areas.